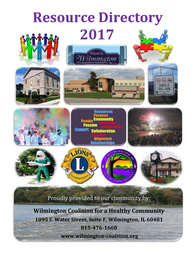 OUR MISSION is to build a community free of substance abuse by effecting lasting, positive changes for the economic, social, spiritual and physical well-being of Wilmington’s children and adults. OUR VISION pushes the WCHC to be an organization facilitating all segments of the community and regional areas working together to create a safe, caring, and drug-free community where all residents, especially children and youth, are nurtured to achieve their personal, educational, and economic potential. Adults set good examples for youth and each adult mentors at least one youth. Residents work with families, the schools, churches and other organizations to ensure a quality education for all youth. There are numerous and varied youth and family organizations and activities and a well-supported youth center with varied programs, including sports, art and cultural events. Adults, youth, and children accept that crime prevention is everyone’s responsibility, and work cooperatively with the police in crime prevention. ​​Families are strongly supported by all segments of the communities and family involvement is high in those organizations such as: churches, the public library, the schools and civic organizations that help to build strong family foundations.